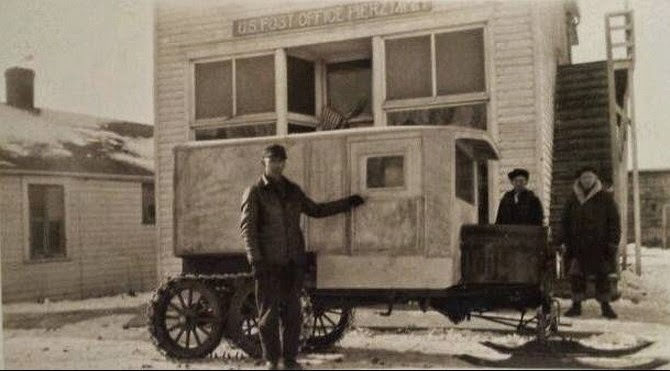 HESCH HISTORY: Mail Delivery by Snowmobile? 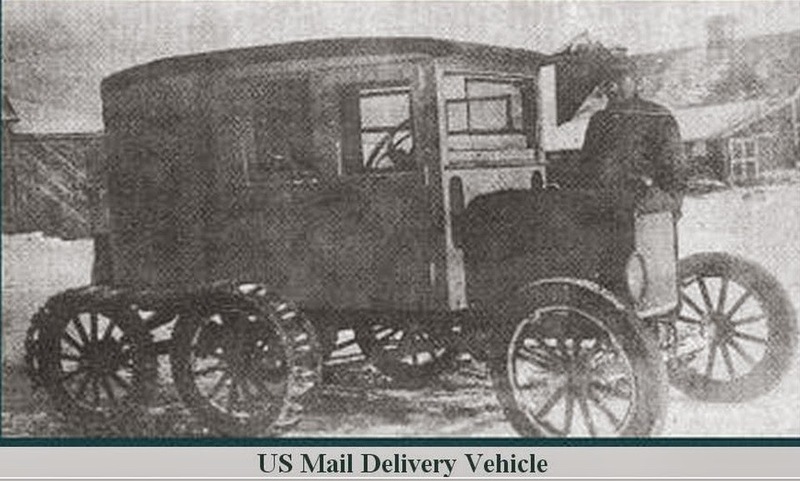 Here are some stunning Post Office vehicle photos Larry found online--probably from the mid-1920s or so. Were they kits provided by the postal service, or were they home-made? 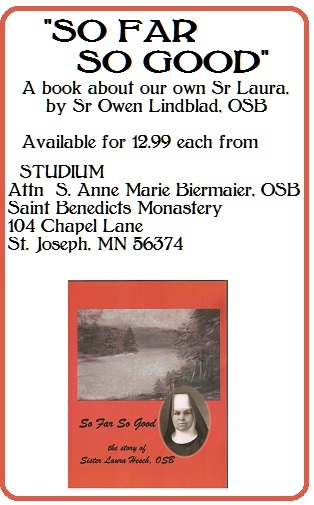 Seems to me they were sharing the "how to", but added improvements as they occurred to the local builder/mechanic. None of the three pics are of the same vehicle, you can tell, but the second one is parked in front of the U S POST OFFICE PIERZ MINN. 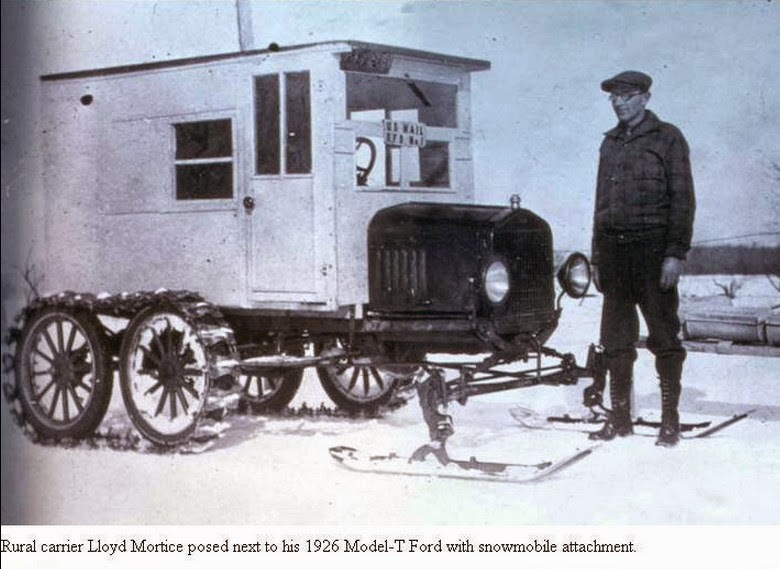 I bet the caterpillar-track six-wheeler was used for road-free areas, and skis were swapped out for the front tires after the first snowfall. I'm constantly in awe at peoples' innovative skills. Wow!